Former Missouri State Bear Lance Parker (2008), after spending two years with Chivas USA, has signed with Miami FC of the NASL. A native of Oklahoma City, Lance Parker made his official Chivas USA debut on July 13 in a 2-1 SuperLiga loss to Pachuca, and his MLS debut on Aug. 8, 2009. 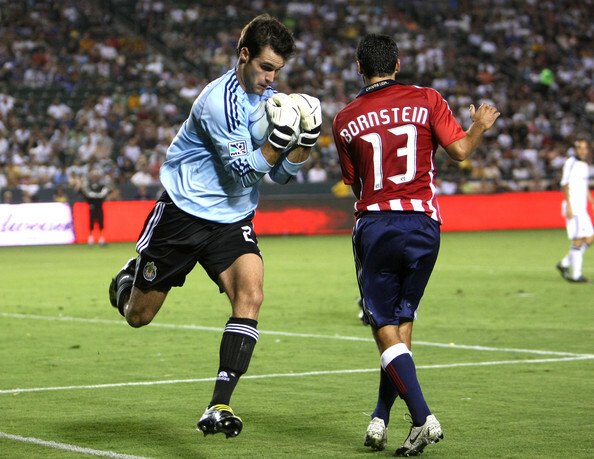 Parker made his MLS debut in Chivas USA’s 4-0 loss to Colorado on Aug. 8, and earned his first win and shutout two weeks later in a 2-0 win over Toronto FC. Miami FC continues to build its roster with the signing of two young but seasoned goalkeepers, in addition to two talented midfielders. Lance Parker and Caleb Patterson will be in goal for the Blues in 2010; while Sean Cameron and local product Gabriel Hoyos add quality to an already-impressive midfield. Terms of these signings were not disclosed. The 24-year old goalie started his career at Missouri State University, where he was twice named All Missouri Valley Conference second team and posted a goal-against average of below one. While with the Missouri State Bears he also played with the Colorado Rapids U-23 team. 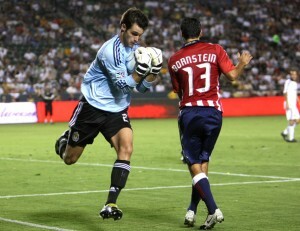 Parker was signed to Chivas USA in 2008.The American goalkeeper played in the 2008 North American Superliga.